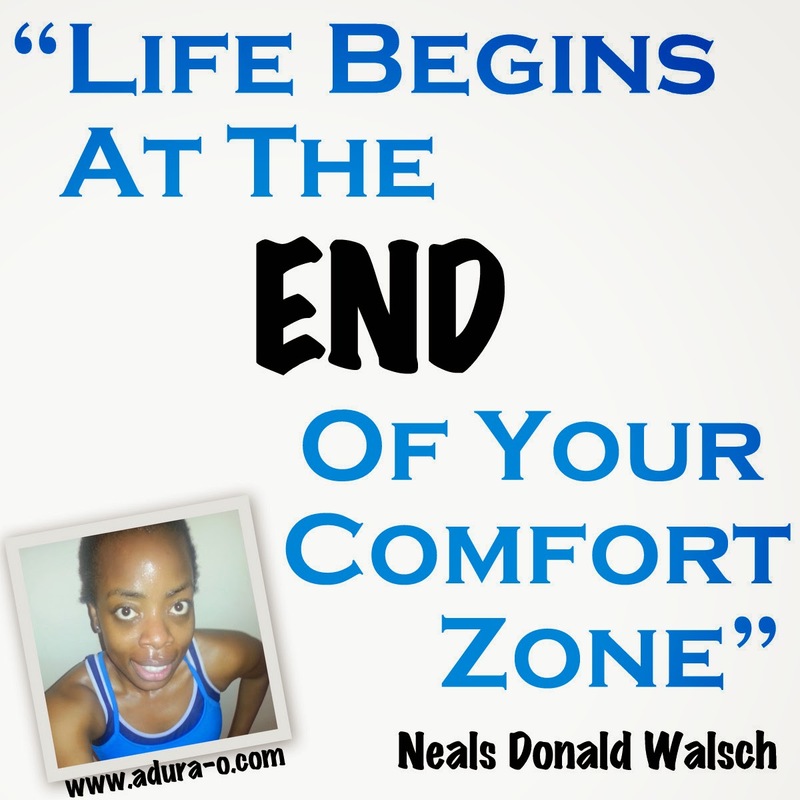 I Was Forced Out Of My Comfort Zone Today… I Think I Loved It! I’m not even sure why I’m so energetic considering that I SPRINTED in today’s workout! I’m sure you’ve noticed I hardly ever talk about running on here. I have shared tips on starting a running routine (Read Part I and Part II) but I don’t run anymore. I used to run years ago but mainly for exercise and to keep challenging myself. I stopped about 3 year ago when I discovered other things I actually enjoyed. I’ll be honest I do love a good sprint but for just one set of 10 seconds, or something! Today’s session took me WAY OUT OF my comfort zone, and after the sprints we jogged back to the gym and finished with 4 sets each of 6 reps of heavy kettlebell shoulder presses, dead cleans and rows. Heavy lifting, LOVE IT! And guess who’s teaching a spin class in less than 2 hours…. ME! (I’m going to sleep so well tonight!). 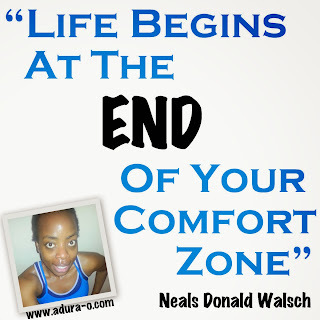 This entry was posted in Exercise, Inspiration, Motivation, Running on July 30, 2013 by Adura Odesanya. I’m not one for New Year resolutions, yes I’m one of those rebels :p BUT I must admit to sometimes setting a few goals because everyone’s resolutions kind of rub of on me! Is anyone out there like me? Do you set goals every Sunday night, no matter how small they are? I have a small whiteboard I got from Ryman’s Stationers (in London) and it’s come in handy many times. I write down my mini and big goals and track my progress weekly, bi-weekly or even monthly. That board is going to be put to even better use, I might even get a bigger one. So, what’s the point of this post? I really don’t know. It’s just to say we all set goals, and one of the most common ones on January 1st is to lose weight, get healthy or something along the health and fitness line. Try not to be like majority of people who set these goals but don’t follow them through. Take advantage of the offers and massive discounts available to lure you in BUT put them to good use. I can’t tell you how many times people have paid for PT sessions, classes and just never showed up. Of course, it’s not the end of the world if you fall by the wayside a couple of times, the most important thing is to sit down, regroup and get back on track. Set goals but giving up at the first hurdle shouldn’t mean giving up completely. Get back to it.. sharpish! This entry was posted in 2013, Healthy Living, Motivation on January 3, 2013 by Adura Odesanya. This post/video was inspired by a question I’ve been asked and I’ve come across many times. I recently had a bit of a rough patch where I lacked motivation or the drive to stay on track. The steps detailed in this video really helped (and have helped in the past). I have highlighted these three because, in my opinion and personal experience, they played a huge role. What made you decide on your current goal? Why is it important to you that you achieve your goals? Who inspires you? Someone who has gone through exactly what you are experiencing now? A friend? A stranger? Success stories online? Supportive friends, family and strangers (online community) play a huge role in helping you stay on track or if you’ve fallen off, will help you get back on track. This is a very important thing. If you have any questions or want to share other things that have kept you motivated, please comment below. 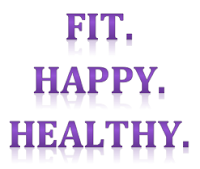 This entry was posted in Healthy Eating Tips, Healthy Living, How To Stay Motivated, Inspiration, Motivation on October 5, 2012 by Adura Odesanya.